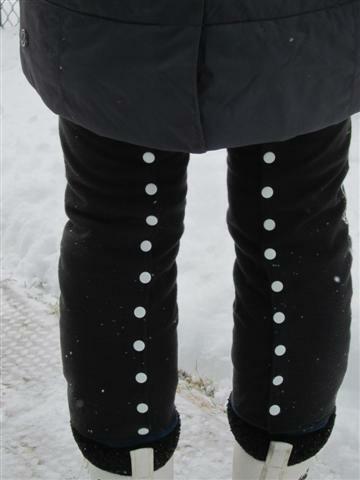 Most of the parents at school wear a full snowsuit or snow pants on the playground. 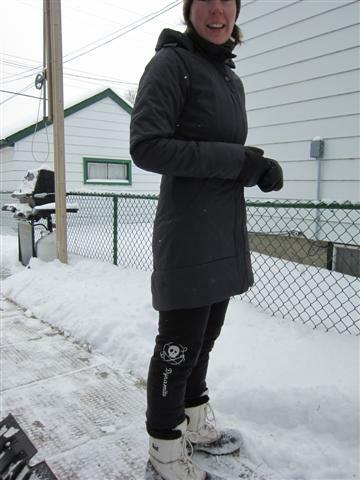 Standing around while the kids play can get really cold here in the prairies. 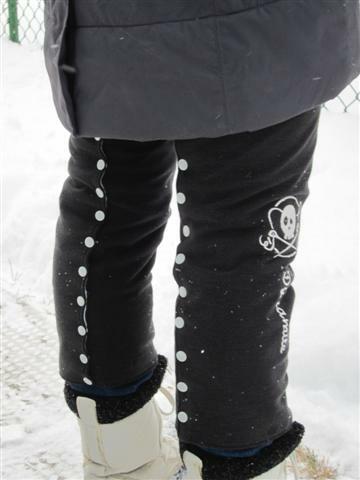 I dislike snow pants but I appreciate warm legs so I came up with these today. So far just a prototype, but still very functional. The inner layer is polar fleece from a bag of unwanted fabrics a friend gave me. The outside is a recycled T-shirt and sandwiched in the middle is PUL, which is wind/water proof. I put some embroidery on the side to jazz them up a little and I'm quite pleased. I took them out for a test run today and they are really warm. 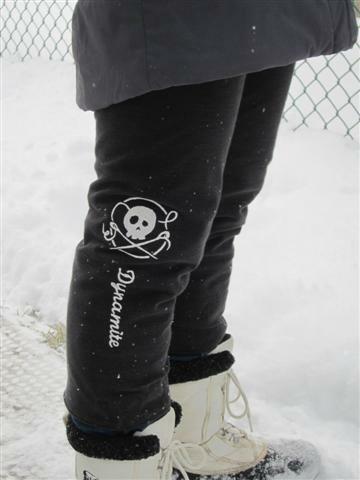 No wind gets through them and the polar fleece is a good insulating layer. They close up the back with resin snaps which are very easy to close. I've got plans for a fancy pair with proper spat boot covers at the bottom and they will go right up to the tops of my thighs. The snaps on those will be at the sides instead of u p the back. The truth is I put the embroidery on this first pair too far towards the middle and rather than have embroidery on my knees I just did the snaps up the back. These ones go to mid thigh which will be fine until -20, but the next pair should keep me comfortable even in -40 plus lots of wind which we do see here. More doll sewing is coming, plus a bit of knitting for holiday gifts. I needed to get these done this morning so the boys could go sledding after school tomorrow. Thanks for looking!